Fall is that beautiful season when leaves on deciduous trees turn yellow, orange, or red and drop down to the forest floor. Yet leaves of alders remain persistently green, even on the ground. Why is this? This photo shows fallen leaves of alder (Alnus rubra) and maple (Acer macrophyllum), plus some fallen conifer needles. All of this "forest litter" is brown or yellowish except for the alder leaves, which remain green even after they fall to the ground. Does this seems a bit odd? My best explanation is by analogy: If you have an old refrigerator that you want to get rid of, you take it to recycling. And before you do, you empty it of food that you want to save. Each fall, deciduous trees get rid of their old leaves by "sending them to recycling" ... in this case, to the forest floor where the leaves compost and eventually become topsoil. Before sending their leaves to recycling, most deciduous trees remove the chlorophyll from the leaves. The trees then break the chlorophyll into parts and store it for the winter in the woody portions of the tree—i.e., the twigs, branches, or trunk. The reason that trees remove chlorophyll from leaves before they fall is to conserve resources, including nitrogen—a vital nutrient for growth. This gives the tree a head start the next spring by not having to start from scratch in producing new chlorophyll. Continuing with the refrigerator analogy, in the fall, alder trees—just like other deciduous trees—get rid of their old leaves by "sending them to recycling" down on the forest floor. But alders do not take the food out first! They leave the chlorophyll in the leaves, "wasting" valuable resources including nitrogen. Why would alder trees do this? Are they really wasteful? Alders are not really wasteful. Rather, they are philanthropic. They are a bit like a wealthy person in a village who, every year, donates all unneeded income for the common good. Alders have a special way of generating usable nitrogen. About 78% of the earth's atmosphere is pure gaseous nitrogen (N2), which is nearly inert. Not a single plant or animal has ever developed a way to use this gaseous nitrogen ... even though nitrogen atoms are a necessary component of amino acids, chlorophyll, RNA, DNA, and many other organic molecules. But eons ago, a few types of bacteria worked out how to convert gaseous nitrogen to a more usable form—i.e., water-soluble nitrogen-containing ions. One genus of these bacteria, Frankia, love to live in little round houses (nodules) that they make on the roots of alders. These nodules are abundant on alder roots just below the surface of the soil. If alders are plentiful where you live, try digging up a small one—maybe 0.5"/1cm in diameter—to look at the roots. Inside the nodules, Frankia bacteria convert gaseous nitrogen from air bubbles in the soil to ammonium (NH4), a water-soluble nitrogen ion. As a result, alders are rich beyond the wildest dreams of most plants! 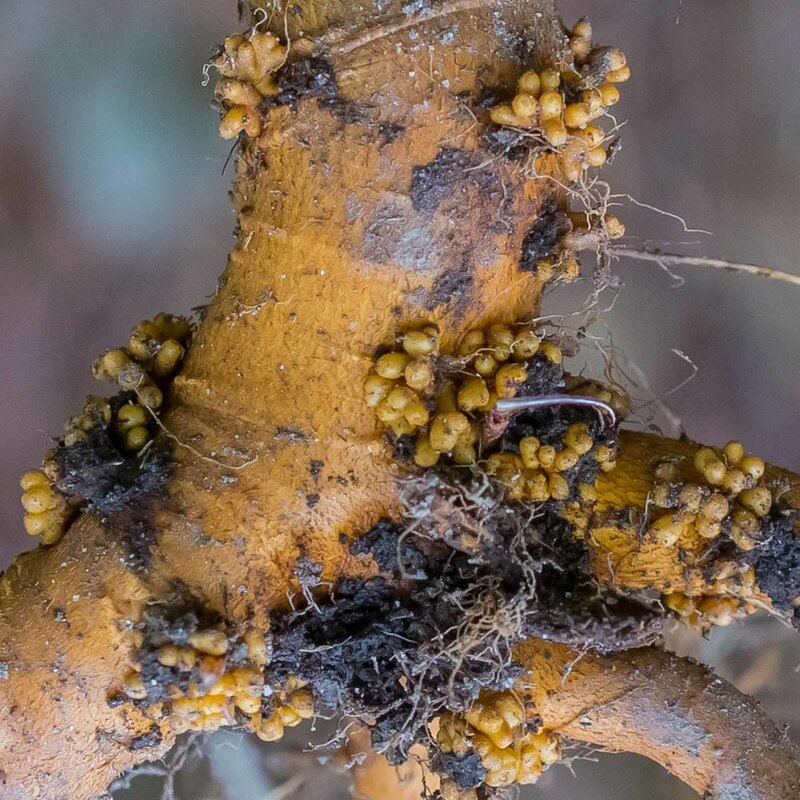 While other plant growth is limited by lack of nitrogen, alders—through their bacteria helpers—make all the nitrogen they need and then some! I compared alder trees to wealthy, generous villagers who give all their unneeded income to the common good. How do alders do this? One way is by "sending their leaves to recycling" in the fall without first removing the chlorophyll—i.e., dropping leaves that are still green. The leaves decompose, adding critical nitrogen ions to the topsoil. In Pacific NW forests, alders are responsible for a good deal of the nitrogen in forest topsoil, enabling other trees and plants to live. This also enables animals that eat those trees and plants to live. Alders are invaluable contributors to the ecosystem. In a sense, the "wastefulness" of alders, when they drop leaves that are still green, is comparable to the "wastefulness" of Pacific salmon when they die upriver after spawning (instead of swimming back to the ocean, like Atlantic salmon do). Alder trees and Pacific salmon contribute valuable resources, especially nitrogen, to the forest ecosystem. Older PostWhy is Alaska yellow-cedar called "yellow?"